Knowledge Base/hopTo Personal /How to? Starting with hopTo version 2.1 it is now possible to copy and paste contents between different tabs that are open with different types of documents. For example: You can copy text from a word document and paste it into a cell within Excel document and vice versa - You can copy the content of a cell (or block of cells) from an Excel document into a Word document. 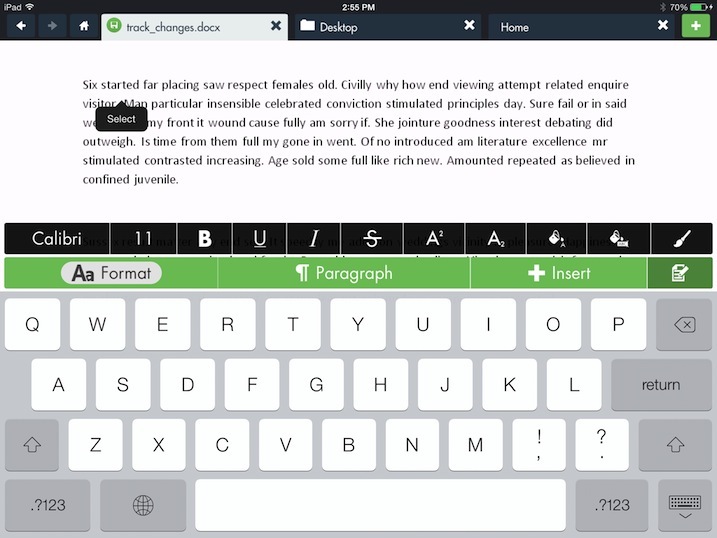 Tap and hold your finger above a word to bring up the “Select” option. Tap to select the word, which will become highlighted and surrounded by blue grab handles. You can also double tap a word to select it. 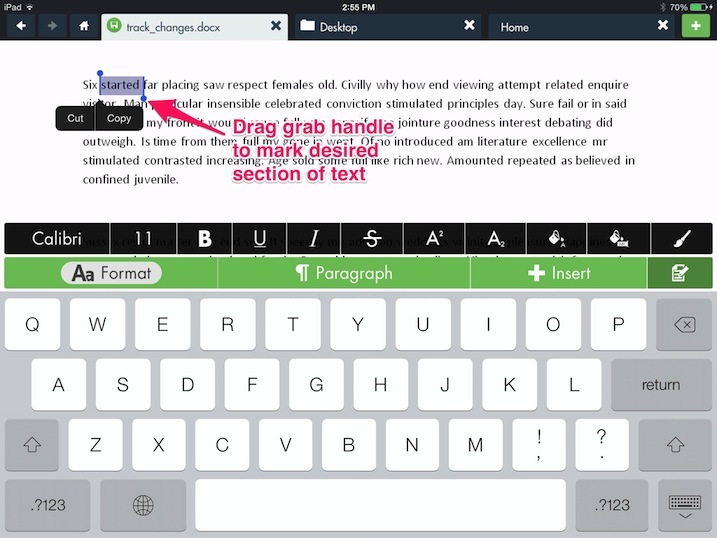 Drag either of the grab handles in the direction of your choice to highlight a larger section of the text. Now tap on "Copy". Go to the tab in which you have the Excel document into which you would like to copy this text. 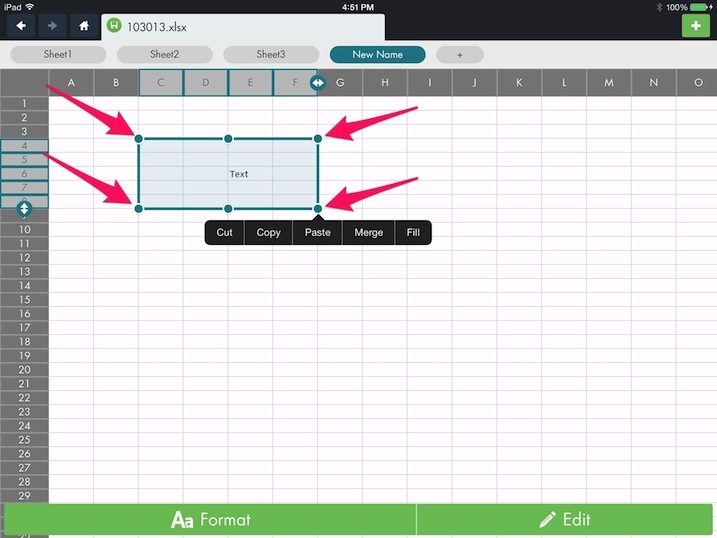 Tap the cell into which you want to copy the text and tap "Paste"
Tap on any cell to bring up the cell operations menu. 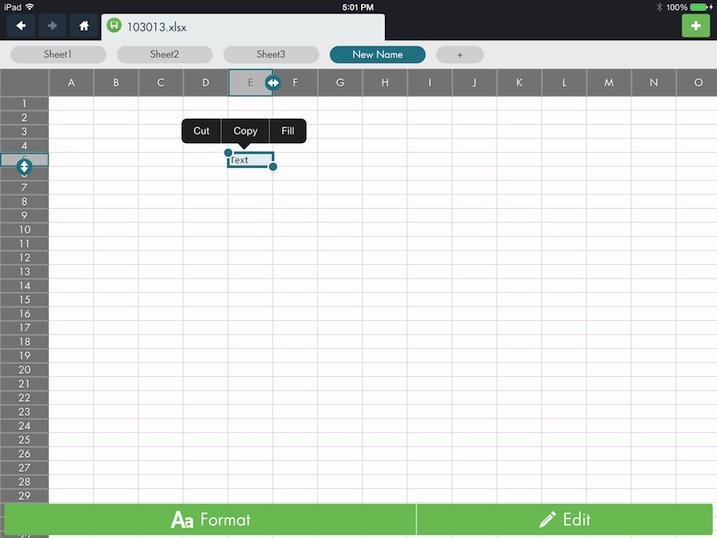 Tap the "Copy" button to place the cell's contents onto the clipboard. You can perform copy and paste operations on a block of cells as well: tap a single cell first, then use the dots at the edge of the cell to create the range. Tap and hold one the dots and drag to create the block. Once the block is created, copy, cut, and paste is the same as for a single cell. Now that you have copied the cell (or range of cells) you wish to paste, switch over to the word document. Position the cursor where you like the text to be pasted. Tap an hold (long press) at this desired position and tap "Paste" as the options come up. I am disappointed I just downloaded this app and I can't copy and paste on my screen using my finger with the highlighlited text for copy and then put it into hopTo. My finger only brings up the word SELECT but gives me NO choices - LIKE the PASTE word!!! Now I have to retype my whole half finished letter to a physician in the hopTo I guess they want you to use their app for all those shareholders huh? As I said disappointed. Will probably delete it. Thank you! Add a Back to Top button at end page.